With Adrian Peterson making and (unfortunately) staying in the headlines, I've been thinking about my mixed emotions on the subject of penalizing professional athletes for off the field actions. Peterson, of course, is just the latest pro athlete to be in the spotlight of for their actions (or accusations) in their personal lives. If the charges he has been indicted on are true, I hope he gets the book thrown at him by the criminal court system. 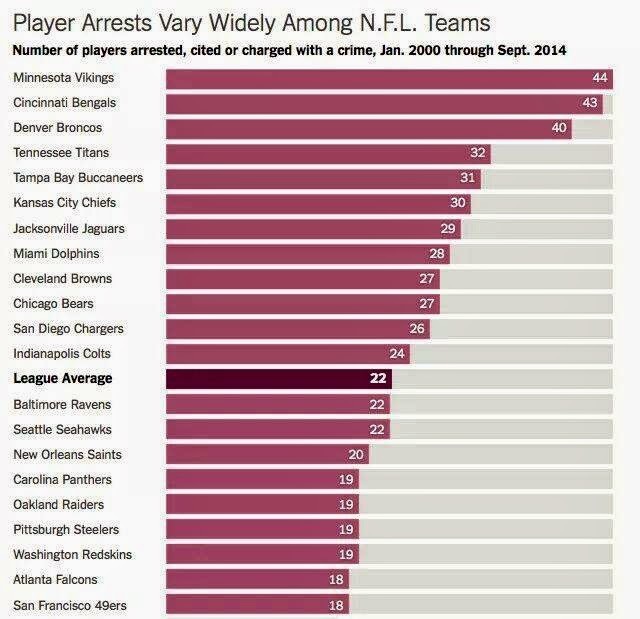 But I'm not so sure about being punished by the NFL. Don't get me wrong, if he is found guilty, I won't lose sleep if he's banned from the NFL. I just don't think being punished at work for something done in a person's private life is justified. It's not applied elsewhere. Know anyone who was fired because they got an OWI, beat someone up, was caught shoplifting? Should an employer be allowed to fine someone or reduce their pay if they commit a crime outside of the workplace? Some may argue that professional athletes are role models for children, and they need to be held to a higher standard. Fine. Aren't parents more of an influence on a child than a pro athelete? It should be fair to say that all parents are role models to their children. So with that logic, if I'm an employer, I should be able to fire, suspend or reduce the salary of any parent who commits anything I deem inappropriate in their private life. Yeah, that wouldn't fly. The problem is, being a pro athlete is not a typical job. They have a celebrity status and their very names represent the teams, league and sponsors, lots of sponsors. Both sponsors for the league, team sponsors, advertisers on TV, at stadiums, etc. They sell jerseys, hats, shirts, jackets & shoes. They make sponsor a lot of money and when they screw up, they can cost them a lot of money. This is where it starts to make sense to me. Companies that advertise with a team and the league or have athelete indorse their products can be greatly affected by off the field actions of pro athletes. The league and teams can then be financially affected when they lose advertisers and sponsors. So if I did something in my private life that caused the company I work for to lose money, I guess it does make sense for me to be punished at work too.